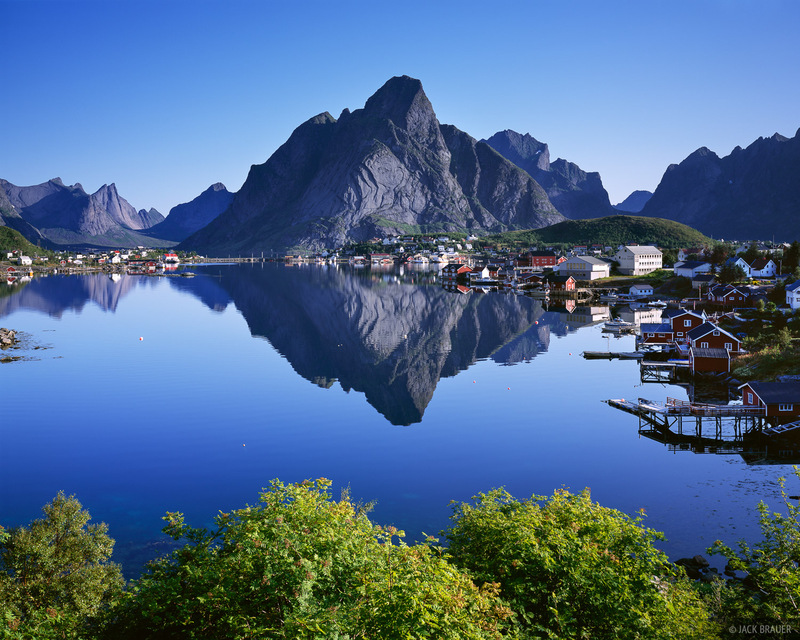 The fishing village of Reine is on Moskenesøya Island, perhaps the most rugged and impressive of the Lofoten Islands. This rare calm day provided the opportunity I was hoping for to photograph the reflection of the village and the massive peak behind it. Every person around here this morning was just in awe of the scene. Photo © copyright by Jack Brauer.